In October 1951 Bro. Howard Johnson of Newark, New Jersey became minister and he continued through December 1964. During his tenure, the property at 105 West 130th Street was purchased. A bible training series for teachers. An annual congregational lectureship designed to inspire, encourage, edify, and challenge the membership toward personal growth and individualistic, evangelistic outreach. The Christian Bible Institute: a Saturday Christian school open to the tri-state area for all who wished to study on an academic-mini-school level. The intention was for future effective Bible School teachers and leaders. Development of a continuing program for foreign missionary work; establishing congregations in Liberia, West Africa and Madras, India. The local church subsequently sponsored two foreign missionaries to Liberia, West Africa with the assistance of the Simpson St. church in Atlanta, Georgia; Dr. A.J. Hairston as minister. Started two schools in Liberia, West Africa. First, the Wells Elementary Christian School in Paynesville, Liberia. Second, The Wells-Hairston High School in the capital city Monrovia, Liberia; both currently remain in operation. Commenced an area wide Sunday Radio program with Dr. Eugene Lawton of Newark, New Jersey on WNJR. Subsequently began an independent Sunday Radio Program in New York City on Station WWRL and an International program on the Caribbean Beacon.  Began annually to sponsor two local evangelistic Gospel Meetings designed to evangelize the Harlem community. Conducted landmark campaigns for Christ. The first, “Give God A Chance Campaign” at the local Apollo Theatre in Harlem, New York City. The second, at the Centennial Memorial Pavilion in Monrovia, Liberia by the recommendation of Dr. William Tolbert, the Liberian president at that time. Dr. Tolbert, while there for the campaign, gave a special audience to Dr. Wells and the Excellent Excellus singing group. Thousands attended and ninety-nine (99) persons were baptized. Organized an annual Lectureship for the Northeast area: from Maine to Virginia and from New York to Detroit; calling it the Northeast Annual Lectureship. Constructed a new church building in the heart of Harlem, New York City. The new facility was dedicated in October 1984. Officially declared the location of the new church building of the church of Christ in Harlem, 336-338 Lenox Avenue as “Truth Corner,” thereby holding innumerable public religious debates. In October 1998, the Church of Christ in Harlem, New York City celebrated in a mortgage burning ceremony; rejoicing in the complete elimination of the construction indebtedness. In November 2002, Dr. R. C. Wells became Minister Emeritus to The Church of Christ in Harlem at the commencement of the ministry of Dr. Olu Shabazz of Pontiac, Michigan. Dr. Shabazz has since served the church with distinctive uniqueness, while continuing to advance toward a greater more productive work for Christ Jesus, Lord of all. Dr. Shabazz has successfully met the challenge of the defense of the Gospel and continues in the established tradition of the saints in Harlem. He diligently strives for expanding the cause of the Christ on earth today through the preaching of the glorious Gospel of Christ.